I really wanted to eat something nice and fresh; but I was short on time. What do you think about these quick verrines? Cut the flesh with a melon bailer into balls. Fill the verrines and add a green touch with the basil leaves! You can also add some flower of salt on the top to give to the melon a stronger taste. 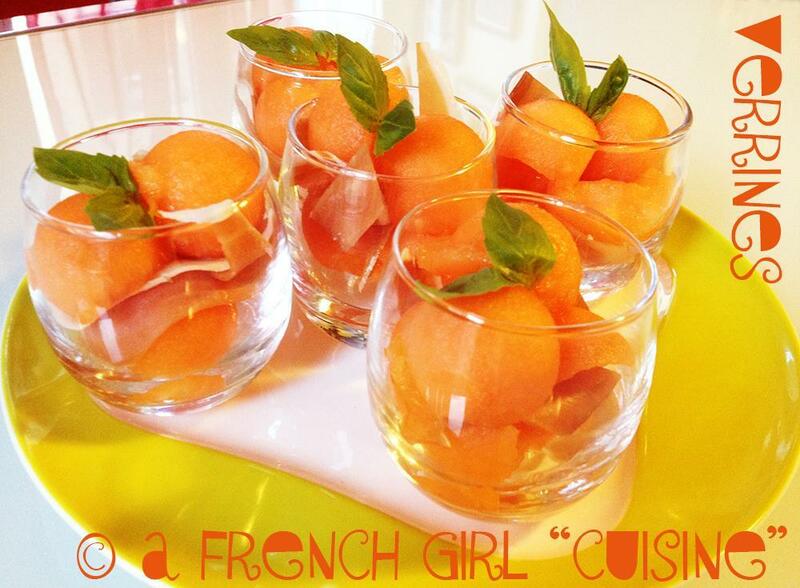 Melon and cured hams always pair nicely. I’ve done other variations as appetizers where if you have either larger toothpicks or like small wooden skews add in some other ingredients like grapes and a semi-sharp provolone (too sharp its hard to skew on) and serve with wine on the side.